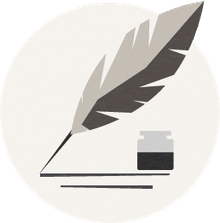 Fun Facts: Did you know that one of the earliest typewriters was called the “Literary Piano?” Christopher Sholes designed his version in the 1860s. It had two rows of keys: the first row consisted of black keys while the second-row keys were white. It was named by the magazine, Scientific American. In 1631, an official printing of the Christian bible was commissioned for King Charles I. Each printing has its quirks, but this one had a particularly noticeable typo: in the list of the Ten Commandments, number seven states, “Thou shalt commit adultery.” The word not was accidentally left out. What a difference one word makes! Some of Jane Austen’s novels, now beloved around the world, were originally known by other names. Northanger Abbey was first sold as a story titled Susan. 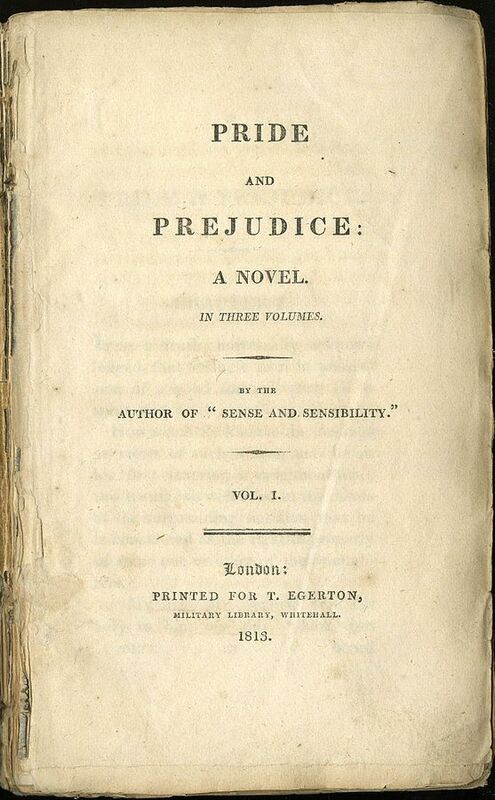 Her most popular work, Pride and Prejudice ​was known its early form as First Impressions. In addition, Austen’s name was often left off the work in favor of authorship “By a Lady” or, later, by “the author of Sense and Sensibility and Pride and Prejudice (as appeared on the first printing of Mansfield Park). Her identity was for a long time known only by family and close friends. “Not knowing when the dawn will come / I open every door.” –Emily Dickinson, 1924. “There are perhaps no days of our childhood we lived so fully as those we spent with a favorite book.” –Marcel Proust, 1905. An early example of “fan fiction,” Jean Rhys’s Wide Sargasso Sea was written in 1966. It is essentially a prequel to Charlotte Bronte’s world-famous novel, Jane Eyre (1847). The first line of Rhys’s novel is: “They say when trouble comes close ranks, and so the white people did.” Readers should immediately note the postcolonial sentiments in this opening, as one of Rhys’s purposes is to “write back to empire” and to give a voice to an erased female character of color. They say genius often develops in good company. The fact that James Baldwin, author of such works as Giovanni’s Room (1956) and Notes From a Native Son (1955) once lived with the Oscar-winning actor Marlon Brando, who appeared in the film adaptation of Mario Puzo’s The Godfather (1969). certainly seems to support that theory. The two lived together briefly in New York but were friends long after. Many people mistake Uncle Tom’s Cabin (1852) as the first African American novel; although it is one of the earliest anti-slavery novels, it was written by Harriet Beecher Stowe, a white abolitionist. The first novel written and published by an African American is actually William Wells Brown's Clotel; or, The President’s Daughter, which was published in England in 1853 and offers a fictional account of Thomas Jefferson’s slave daughters. The first novel published by an African American woman is Our Nig (1859) by Harriet E. Wilson. Today, the world’s most popular raven is arguably the one written of by Edgar Allan Poe; but if Charles Dickens had his way, he would certainly cry, “Nevermore!” to that. Indeed, Dickens had a beloved raven of his own, named Grip. It is purported that Grip was an intelligent bird, capable of parroting some words. His last, according to Charles Dickens, were “Halloa, old girl!” Grip died after eating a paint chip. Fortunately, Dickens had the beloved pet stuffed and, today, we can visit Grip in the Free Library of Philadelphia’s Rare Books department. Know These Quotes From "Crime and Punishment" by Dostoevsky?